Another Thursday another venue - The Vestry. We had a turn out of 11 - Gordon, Russell, Graham, Andrew B2, Jo, Different James, Andrew 007, Nick, Paul, 3BS Dave, Capt Chris. I think Jon was briefly there - were we not Ameritrashy enough for him? Thanks to all who turned up to sample the new venue = please share your thoughts against the first game entry. Having been displaced from our RBL home, tonight's venue was 'The Vestry'. The space and tables are fine - although it is difficult not to have to place drinks on the same table as being played on, there will eventually be an accident. The lights were just about OK at first but at 22:00 were suddenly turned up at which point the light was absolutely fine. I will speak to Dan tomorrow to see if we can have the lights like that all evening. The noise level was OK, although slightly quieter would probably suit better. There was however a live band on for part of the evening which I don't think is usual. It may be possible to have the two upstairs speakers turned down separately. I think we try 'The Marquis of Granby' next week and then take a poll but I think 'The Vestry' is OK for a long term venue. If the MoG also turn out to be OK it might still be an idea to alternate between the two. Firstly, I should say that heavy(ish) worker placement games that play significantly beyond the hour mark, are not really my type of game, so it’s a credit to Andrew’s design that I still find this interesting to play. It’s not ultra-tight in terms of selection options so you don’t find yourself painted into a corner with nothing to do, like you can with some games of the type which is one of the things that tends to put me off them. However it is tight enough that to score well you need to play very precisely with your limited workers. It also has a lot of player interaction with the bidding/placement mechanism being clever and fun, generating quite a bit of player banter and angst. Like most Euros though it does lack a story arc type experience. i.e. the kind of gameplay that has you recounting exploits and in-game events after the event. These however are comments that explain why this type of game tends not to be what I like playing and there are of course lots of people who do like them. So my rating would be a 6.5, reflecting my personal taste in games, but I think it’s a very good game of it’s type, and if this is your type of thing I would speculate an 8 rating for it. Some of the board layout and general iconography/colour choices still need working on – but that is kind of irrelevant at this stage given that Mayfair will clean all of that up (although you might want to keep an eye on what Mayfair propose on this front as they fell a little short on Aeroplanes: Aviation Ascendant). The ‘Headline’ scoring really needs to be made clearer on the tile, i.e. 6 + max bonus. Based on the current size of the pages I think a single page game probably plays a bit short but a two page game plays too long (the latter possibly again reflecting my game taste more than anything else). Perhaps a single page variant with the page having one more row and one more column. The action to amend your layout was never used in the game. I think the ‘tetris’ element of the page layout needs a little more development (see below) or this action should be dropped. The layout part of the game could be extended by making the item/article orientation more developed. When initially won the item has to be placed with the orientation (horizontal or vertical) of it’s ‘A’ side. If the ‘change layout’ action is selected items can both be moved and flipped to their ‘B’ side which would have the other orientation. I can see a case for and against the additional action selection space against the 3 space articles – for a more casual game having both spaces is good but for a tighter gamers game restricting it to one is better (no reason you can’t have it both ways and have a variant in the rules. Jo’s idea of one single, shared action space between the 2 and 3 sized articles might be a good compromise option (who gets to select first though - the player on the specific action or the player on the shared one?). One player selecting both 3-sized actions was very powerful (perhaps over-powerful – you could rule that you keep both spaces but a player can only place in one of them, or that the other players should not be stupid enough to let one player select both. How much play-testing has been done around the variety of article compositions you can win with, i.e. is it possible to win with a predominantly small article rush strategy, before players going for the six-sized stories can assemble them? From my plays of the game it does feel that you have to get the six sized story to have a chance of winning, given the way the VP' are generated. The action selection/bidding mechanism coupled with the tight money situation is very clever and a lot of fun. A couple of hands while we were waiting for Capt. Chris to make his way through the traffic. Graham won the first hand, and Dave the second-- Dave the overall victor. 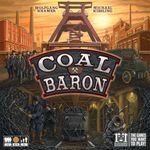 Once Chris arrived we decided to join the Cult of the New, with Dave teaching us Coal Baron. Players mine coal to fulfil orders in this worker placement game. Graham didn't fulfil any orders in the first turn, but made some very efficient specialisations later. Chris and I focussed on the same modes of transportation, and were hurt by having to settle for ties a lot of the time. Dave's experience with the game did him well as he broke out into an mid-game lead which he maintained to the end. Playing time, including rules explanation was two hours. This is a very interactive Euro. There is opportunity for blocking, and you need to be aware of what everyone else is doing to maximise scoring. Despite the interaction, it feels fairly dry, although the excitement does ramp up towards the end as you start to compete for final scoring bonuses. A few things I didn't like: As fulfilled cards are turned face down there is a memory element to this (which cost me dear!) In effect it's something of an area control game where the populations in each area are hidden-- I'd rather they were visible. The blocking (actually increasing the price of actions out of reach) means that you are basically calculating a risk-- do I try to do a lot this turn, and hope the actions are all still cheap enough, or do a bit less knowing I'll be able to afford it come what may? There is the mechanism where you re-arrange four unwanted cards and put them at the top or bottom of the deck: this mechanism usually lengthens games for marginal benefit, and I think it does so here. So I like the quick playtime and the very interactive nature of the scoring but those other problems just brought the game down a little for me. Nick, Paul, and I sat down in the dim light of the Vestry to play another game from my Essen haul, a railway game like no other railway game. You are tasked with building three railways out of Moscow, one to Vladivostok, one to Kiev, and the other to somewhere else (I forget where). To do so, you must advance your black rail ahead of you grey rail, that ahead of your brown, the. Your tan, and finally your white. At the same time, you can advance your industries and build up a stock of engineer tiles. The actions on the main board are selected in turn by the right number of workers and the blocked. So the trick is to grab the action you really want to do early and hope other actions are still available for the workers you have left over. Coins can be used as a substitute for workers, so taking the two coins that come out each round is a good move usually. In this game, Nick concentrated on the Vladivostok line Nd won my a smallish margin from my industry track strategy. Paul went for engineers, eying the 40 pt end game bonus on offer for most engineers. But he spread his other resources too thinly and fell behind. A lovely, thinly game that has been won using the Vladivostok strategy in both my plays so far. With Chris wending his way, I taught the other's Attila-- an ideal game for three players looking to fill an hour. I faltered early, by starting in some colours, but letting my cards persuade me to switch. This meant I fell behind on the second scoring and could never recover. Graham meanwhile was building up a strong lead majoring on the black and yellow tribes. But Dave had quickly mastered some of the tricks (discard the cards you don't want in the battles, use the 'once only' power ups to do powerful combos, and be in control of when scoring happens), and he zoomed ahead in the final scoring. A hat trick to the man from the States -- every game this evening fell to Dave, a cube-pushing Attila, leaving the rest of us behind in the dust, like so many forgotten tribes of antiquity. A great game, streamlined area control, and lots of fun. 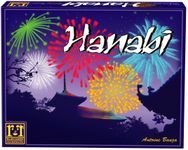 After Hold the front page we went for a game of Hanabi. As agreed I have now destroyed the scoresheet, so let's never speak of this again. First outing for the three of us and the rules took about 10 minutes to explain. The game is just a half deck of cards and 52 cubes, 13 in each colour. From the starting card, Lisbon, 13 cards (9 in a 3p game) are lined up on the table with 3 face up. The cards represent foreign countries that need to be discovered on the way to India (the last card in the line). Each player has two actions which allow sailing to collect commodities, building, selling goods and discovering new lands. The clever bit is that the cubes represent, ships, goods, bankers, historians and scientists dependant upon where there are placed on a card. You can buy new markers and you need to because if you achieve more than 5 gold or 5 VPs you need a new marker to record the increase. Fail to do so and you plain don't get the score. And this was the fate that befell poor Paul who scored 19 points and should have won but with only 3 available markers was only able to chalk up 15 and so tripped in 3rd. An incredibly clever little filler that took c30 mins after the rules were explained. Worth keeping in the bag to sweep up the end of an evening.